Natasha Blair is a member of the British Guild of Travel Writers and where possible travels with her passport carrying dog, Trixie. Not a beach worshippper, she is always on the lookout for new and interesting places to visit, preferably in comfort. Southwold, on the East Coast of England, is one of the few spots in Britain where time seems to have stood still. On the main street you will not only find the tourist information center, but also several small independent shops. However Southwold is most renowned for its lovely sandy beaches and colorful beach huts – despite the fact that it borders the North Sea. The beach huts sell upwards of £60,000 but can also be rented for a lot less. And the traditional 19th-century pier is maintained with cafes, gift shops and a quirky amusement arcade. At the end, braving the winds, people stand with their fishing rods. Brewing in Southwold goes back to the 1600s, although Adnams didn’t establish a brewery here until 1872. 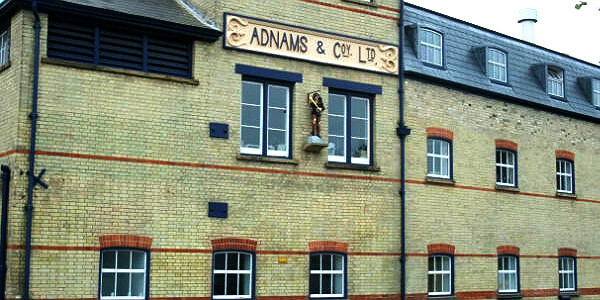 In November 2010 Adnams expanded, opening a distillery producing gin, vodka and whiskey. Tours of the brewery and distillery run throughout the week, with a tasting in their warehouse shop at the end of the tour. The shop is also a great place to find presents, as well as bottles of wine, spirits and novel cooking utensils. On Friday mornings a local farmers market takes place in the square at the back of the shop. As well as the usual items of meat, cheese, vegetables, homemade jams and honey, there is also a stall selling Indian curry pastes and chutneys. Also on Fridays the local Woman’s Institute sells homemade bread, cakes and jams at the United Reform Church Hall, but you need to get there early. I arrived at 11:30 a.m. to find that the bread and cakes had all gone. Southwold is a great place for eating local, freshly caught fish, particularly fish and chips. Along the sea front by the harbor, the River Blythe goes into the sea. 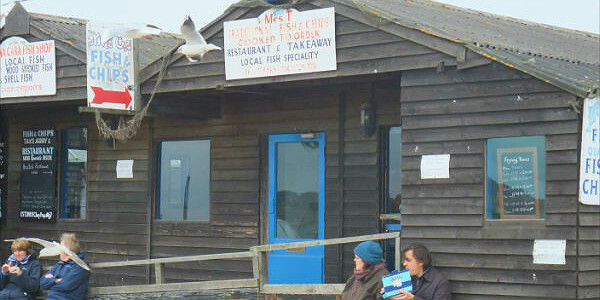 Here you can still buy fish and chips from a wooden shack, known as Mrs T’s. Or try Sole Bay Fish, where you are allowed to take your own bread and wine. Here too is a rowing boat, know as the local ferry, which provides a quick way to get to the next village of Walberswick. The town has various activities going on throughout the year. The summer has a lively theater season, which caters for children as well as adults. Hidden in the back streets, a cinema in what looks like a converted garage harps back to times gone by. 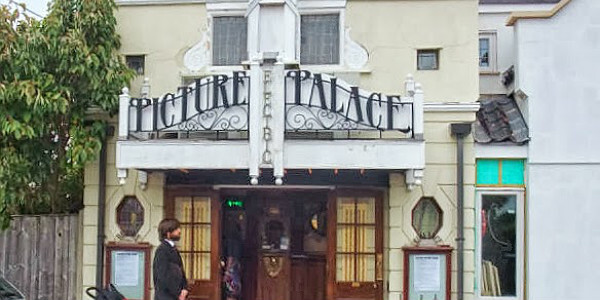 At the Electric Picture Palace, a glass of sherry is served in the interval, and the national anthem is played at the end of the film. The woodlands and wetlands of nearby RSPB Minsmere cater to nature lovers. To keep up with Natasha and her travels, check out: Barkbitetravel. How To Get There: The nearest major airports with flights from the U.S. would be Heathrow (LHR) or Gatwick (LGW) airports in London. From London, you can take either a Greater Anglia train (£9-£13 for a one-way ticket) or National Express bus (£11-£15 for a one-way ticket) to Lowestoft. From there it’s a £3.90 one-way bus ticket to Southwold onboard the Anglian Bus 61. But do be careful if you’re planning a day trip, as the last bus connection from Southwold is at 5:30 p.m., and taking a taxi back would make the trip expensive. Best Time To Visit: The author’s favorite time to visit Southwold is June and July when the weather is pleasant (hopefully) and before the summer breaks for schools start in the last week of July, when it gets extremely busy. In July there’s the Southwold Arts Festival that puts on plays of a very high standard. This year for the first time is the Flavours Food & Drink Festival in June with the arts covering painting, music and dance.